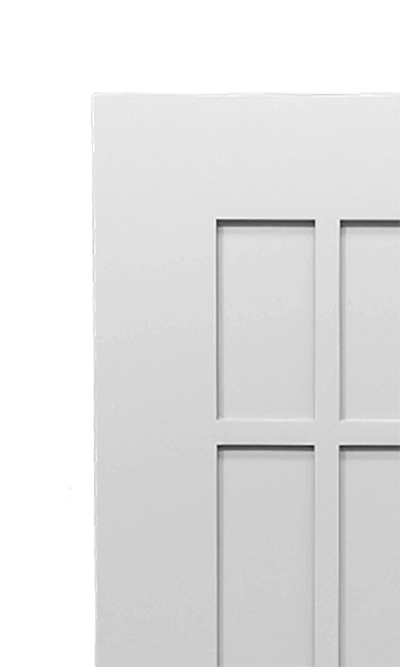 Popular in the 1960’s, this door has never really been out of style. It gives furniture a low key, handle free, almost sculptural shape. The finger pulls themselves give a visual texture when hung side by side and create recessed lines that are pleasing to the eye as well as practical for opening in any place the hand chooses to land. 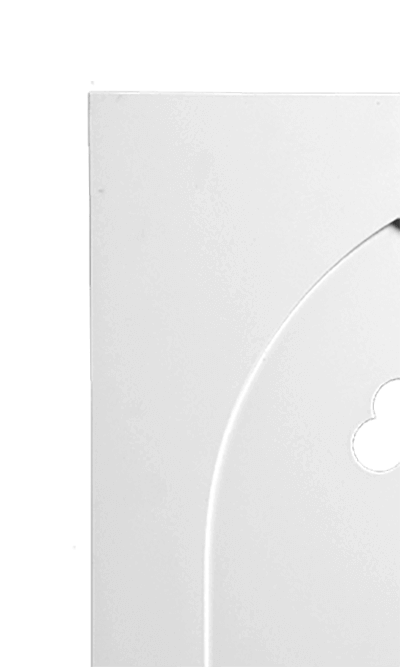 This style of finger pull can also be used on most of our panelled doors, and can also be placed on top of the doors. Contact the office for details. In order to give opening clearances, doors and drawer fronts are generally a little smaller than their carcases. If you are not replacing old doors (which you can measure) please study carefully the details below. 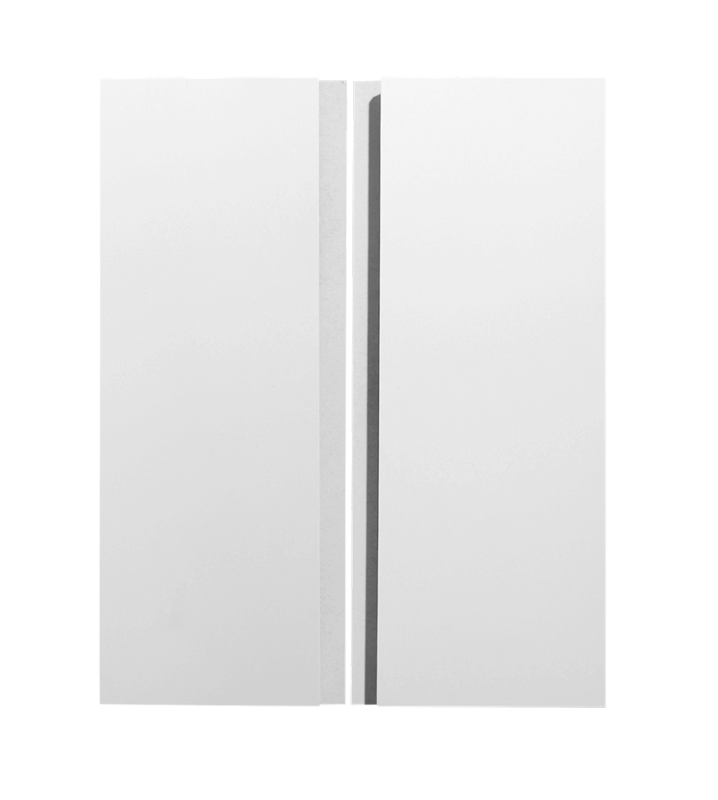 Base units (with recessed plinths): Doors fit flush to bottom edge of carcase with the total height of door, or door and drawer(s), or set of drawers being 5mm less than the overall carcase height. Wall units (with lighting trim & cornice): Doors are 6mm less than the overall carcase height, giving 3mm clearances both top and bottom. THE SAME FORMAT APPLIES TO ANY CUPBOARD WITH CORNICE OR SKIRTING PROJECTING FORWARD FROM THE CARCASE. 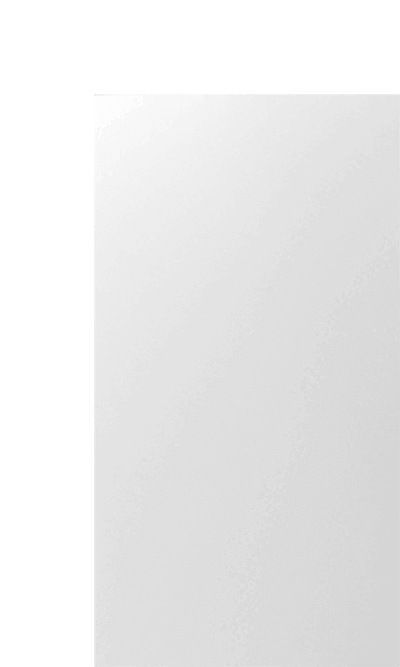 Horizontal gaps between doors/drawers on the same unit should be set at 3mm each. Single doors are 5mm less than the overall carcase width. Double doors are each 4mm less than half the overall carcass width. With the exception of drawer fronts, all doors are made using 75mm rails and either 6/9/12/15mm centre panels, depending upon the style chosen. Doors over 1600mm high (1), come with a 100mm centre rail above a 740mm base panel. Please specify should you wish this rail to be at a different setting. Drawer fronts up to 150mm (2) are solid 21mm MDF. 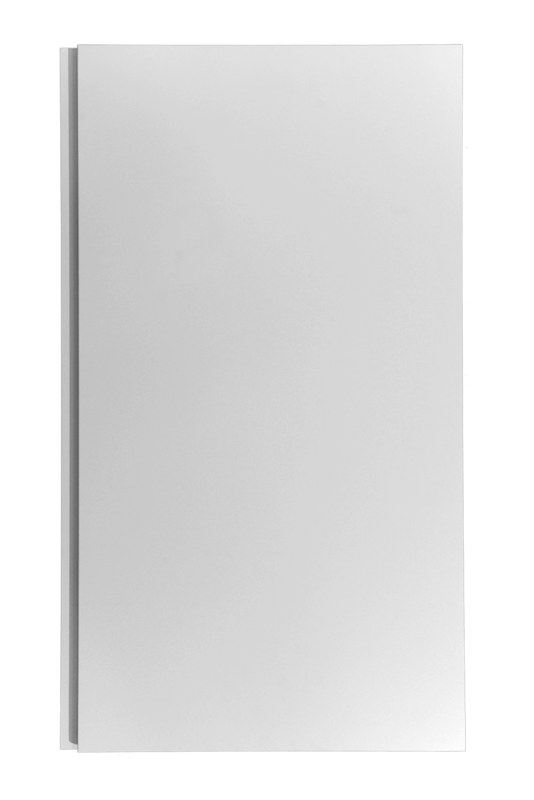 Drawer fronts 150mm – 200mm high (3), are supplied with 40mm top and bottom rails and flat panels. All drawer fronts (and doors) over this size (4) and (5), have standard 75mm rails all round. When ordered, are on 87mm centres (6), but can be sited in any position required. 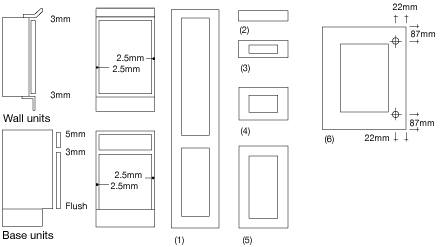 In such cases please specify the preferred position by measuring in from the top and/or bottom edge of the door to the centre of the 35mm hole. Doors over 1600 high require 3 hinges as standard. 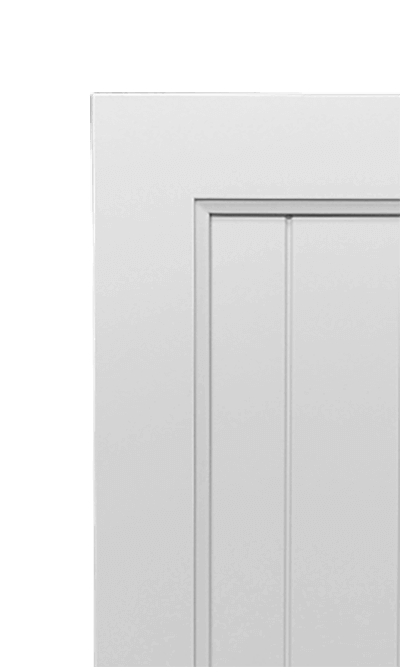 Please specify the hand of the doors on all doors over 1600 height and on any door where the hinge positions are not symmetrical. The hand of the door, denoted left (L) or right (R), is the side on which the hinge is placed when viewing the unit from the front. When ordering hinges, specify the thickness of the carcass sides. If you require end panels, lighting trim or plinths to coordinate with your door style, contact the office with a list of the lengths you require and we will assist you further. Please add £20.00 for each £100.00 (or part thereof) to cover delivery costs, up to a maximum of £200. Delivery is free within 25 miles of the factory, or clients may collect free of charge. Please fill in the form below to get a call back or contact our sales office on 0121 328 1643 if you have any difficulty. Watch our simple video for tips on how to measure for replacement doors. There is a section at the end of the video listing all of the information covered in the video if you need to take notes. Do I have to have my doors primed? No, however, they are spray primed with a special primer/filler and then flatted by hand, which gives the best surface upon which to paint and saves a lot of time versus doing this step by hand at home. 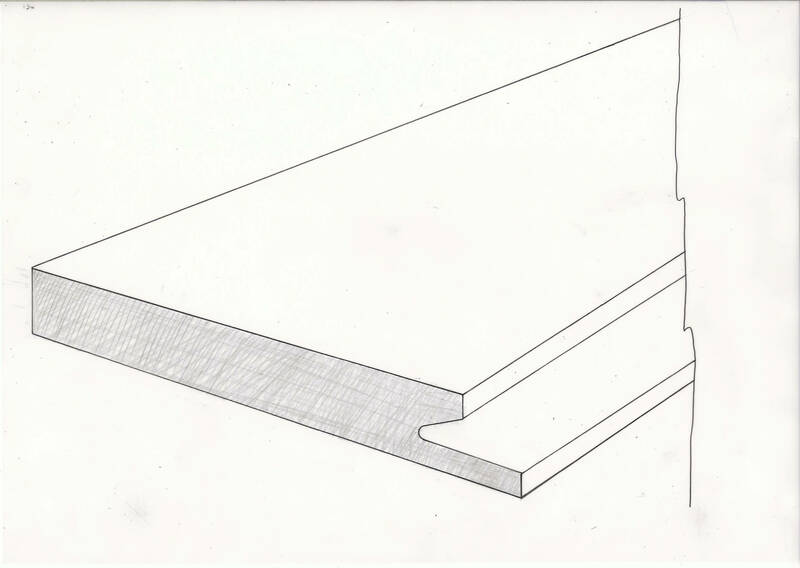 MDF or Medium Density Fibreboard is a fibre board made from wood fibres and resin, bonded under high pressures. The finished boards do not have a grain and are therefore ideal for painting or filling. Thus holes can be filled and sanded with ease and are completely invisible when painted- very handy should you ever decide to change from a handle to a knob, for instance. Another advantage of MDF is that once it is sealed, it is a very stable material, and unlike wood, is not prone to warping or shrinkage- extremely important when manufacturing large wardrobe doors, most of which are over 2m high. Finally, all of our materials are sourced from manufacturers who use wood from sustainable forestation, and as the process also uses the whole tree by using the wasted branches and bark left over from larger board production, there is little wastage, making MDF doubly environmentally sound. How thick are the doors? 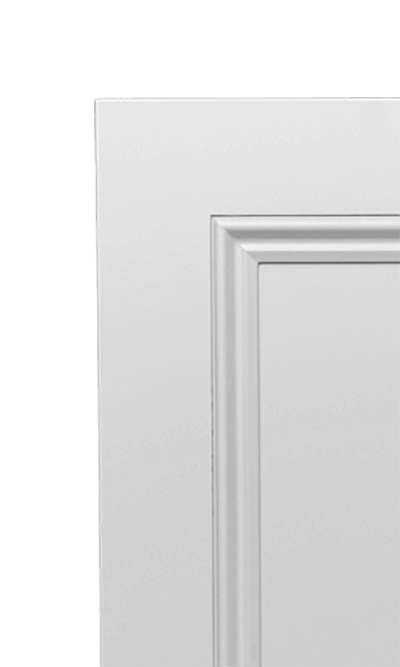 All of our doors are 21mm thick with a minimum 9mm panel in the centre. How wide are the rails on the doors? 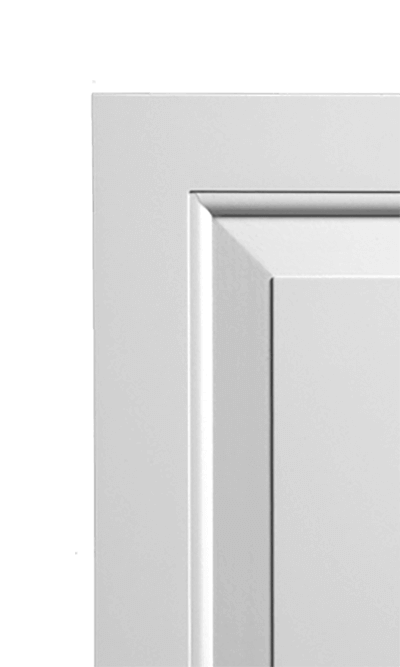 Our standard rail is 75mm wide on our new and replacement kitchen cabinet doors with taller wardrobe doors featuring a 100mm wide mid or cross rail. Do you make angled doors? Yes, we regularly make angled doors. Please contact the office for details of the measurements we require. I am replacing existing doors. How do I measure for the hinge holes I need drilled in my new doors? The hinge boss hole should have a centre point. Simply measure from the top of the door to the top hinge hole centre point and then again from the top of the door to the centre point of the bottom hinge hole. 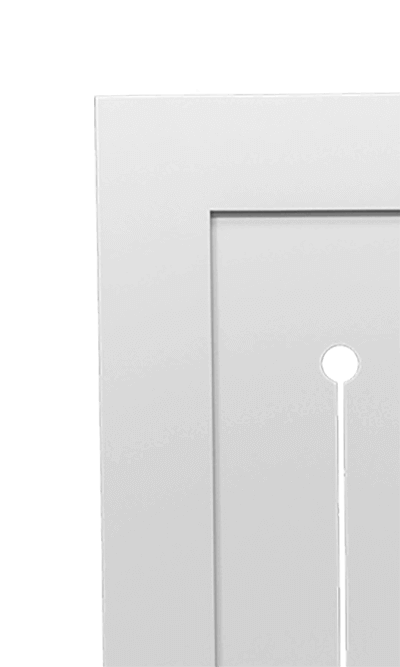 Always measure from the top of the door to the centre point for all hinge positioning measurements. The second measurement we need is from the side of the door to the hinge hole centre point. As a guide, this is usually around 21mm. Can you match my door design, as it isn't exactly like any of the designs on the website? We can certainly try! Just send us a photo, one close up and any dimensions that would help us to understand the proportions of the design and we will do our best to assist. Do you sell cladding panels and plinths for end panels in kitchens and so I can have my plinth painted as per my doors? Yes, please have a look in our accessories section on this website for a list of the sizes and prices. Do you sell cornice and skirting boards for finishing off my wardrobes? How will my doors be delivered? Our chosen courier is Tuffnells and they will deliver between 8am and 6pm or you can choose an earlier delivery at a small additional charge. Large orders will be delivered by our own driver if this is a more economical way for our customer. Can I see a sample door? Yes, if you are a trade client and need to order samples to show your customers, we do offer a kit of 5 doors of your choice. Contact the office for more details. If you are a direct customer, we can sell you a small sample door. Contact the office for details. Why are some of the drawer fronts I ordered plain and others match the door style? The minimum height for a drawer front to include a panel to match a chosen door style is 200mm to allow for the size of the rails to match the doors. If the drawer front ordered is less than this, then a plain drawer front is supplied. Can I collect my doors? Yes, you can collect your doors during normal business hours.